New Route Theatre has two exciting projects coming up, with a playwriting competition aimed at producing staged readings of winning works written by LGBTQ authors and a second program of fully staged works by African-American playwrights from Illinois under the banner "Black Voices Matter: New Voices, New Plays, New Directions." As of January 14, New Route is looking for new plays by Lesbian, Gay, Bi-sexual, Transgender, or Queer playwrights for a LGBTQ festival of staged readings scheduled for April. New Route will select three plays to be presented in readings April 22 through 24 in Bloomington-Normal. They are asking for submissions to be in by February 20, 2016, and they'd like to see materials submitted by email at new.route.theatre@gmail.com. If you're submitting, you are asked to include "Attention: Duane Boutté" on your email. Duane Boutté , who is acting as the curator of this series, is a member of the faculty at Illinois State University's School of Theatre and Dance. 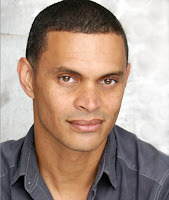 A performer, director and playwright, he has appeared on Broadway and off-Broadway, at theaters across the United States, including the Goodman in Chicago and Arena Stage in Washington DC, and in film and television, as well. In 2015, Boutté directed Cabaret and Fences at ISU. This festival of LGBTQ voices is presented in partnership with Bloomington-Normal's Prairie Pride Coalition. 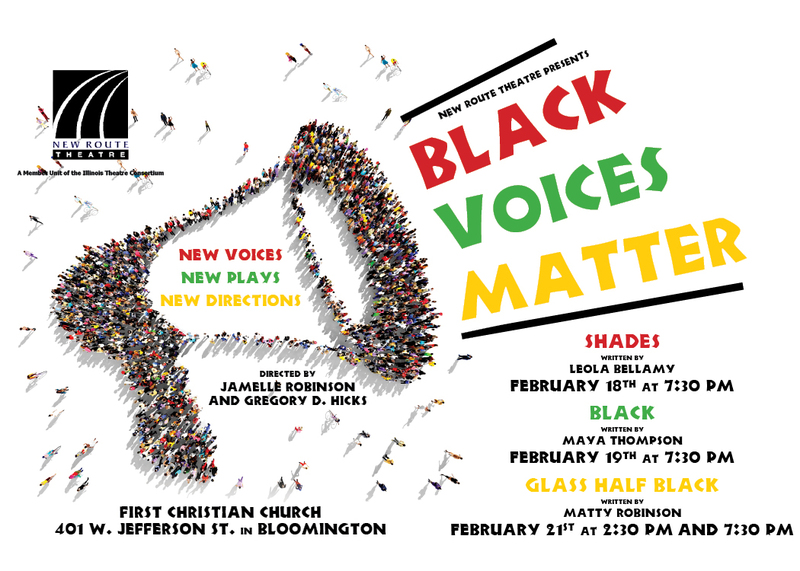 Also coming up in February for New Route is their "Black Voices Matter: New Voices, New Plays, New Directions" festival, which has been created to showcase brand-new work written, directed and performed by African-Americans from Bloomington-Normal and Chicago. Saturday, February 21 at 2:30 and 7:30 pm. Performances will take place at the First Christian Church, 401 West Jefferson Street in Bloomington. Audiences will be offered an opportunity to interact with actors, playwrights and directors Jamelle Robinson and Gregory D. Hicks following each performance. New Route is encouraging audience members to attend all three shows to experience the full spectrum of voices. They're are presented free of charge, with a suggested donation of $5 at the door. New Route Theatre’s mission -- to present "professional-quality theatre using a broad spectrum of artists who represent the community in all of its diversity" -- is clearly reflected in both festivals. For more information about New Route Theatre or either of these projects, please contact Don Shandrow, Artistic Director or Jamelle Robinson, Development Director at new.route.theatre@gmail.com or check them out on Facebook.